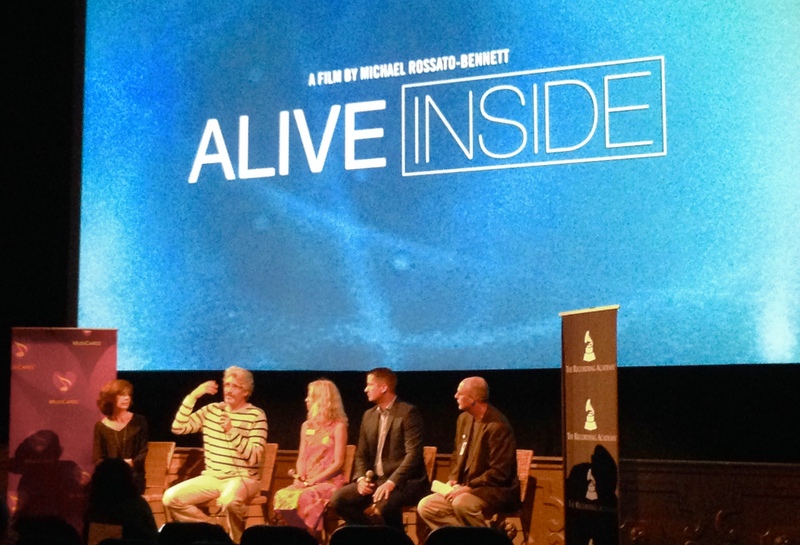 Last night I had the good fortune to attend a screening of the remarkable documentary Alive Inside by filmmaker Michael Rossato-Bennett. The screening was hosted at the Belcourt Theatre by the Nashville Chapter of The Recording Academy and City Drive Films. Directly following the film was a lively panel discussion including the filmmaker himself that fielded questions and enthusiastic comments from members of the audience representing a variety of Music City interests ranging from music industry to healthcare. A moving testament to the power and importance of music in the lives of human beings, Alive Inside is the story of social worker Dan Cohen’s work bringing music to patients in American nursing homes, and the dynamic – at times astounding and tear-jerking – effects this work has had towards awakening patients with dementia to the world around them, and to their loved ones. The film won the Audience Award at the 2014 Sundance Film Festival. The premise of Alive Inside is simple: provided iPods loaded with personalized playlists, many patients who are withdrawn and cut off from everything and everyone around them – in some cases for years – return to the moment and to awareness of those around them, and regain some measure – depending on the individual – of the ability to interact with others. The film features many moments watching elderly patients “return to life” in touching and heartfelt scenes, and includes commentary by renowned neurologist and author Oliver Sacks and vocalist and conductor Bobby McFerrin. Music connects people with who they have been, who they are, and their lives – because what happens when you get old is all the things you’re familiar with, and your identity, are all just being peeled away. Alive Inside is Dan Cohen’s story, and it is also an awareness and publicity vehicle for his nonprofit foundation Music & Memory, which exists to spread the use of music as a therapeutic program for elderly suffering memory impairment and other symptoms throughout the United States and beyond. Dan is the founder and Executive Director of Music & Memory. I would encourage anyone with an interest in the healing role that music can play in people’s lives, with a concern about how people are cared for as they age, or anyone who has noticed how important one’s memory is to one’s personal identity and to the relationships one has with others, to see Alive Inside. In fact, I would go so far as to recommend that everyone who knows anyone who is aging or who might age themselves someday, to see it. Don’t forget to bring tissues! 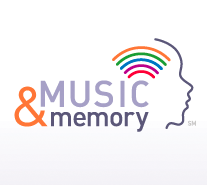 You can find out more about Music & Memory on their website, including a detailed description of their program and how you can get involved. I would like to thank The Academy for hosting last night’s event. By walterbitner in Community on August 27, 2015 .